Mark started his journey toward a sustainable understanding of business, markets, and society growing up on the Colorado front range. From there, his education took him to Northwestern University’s School of Music, first studying symphonic clarinet performance, and subsequently expanding his studies to include jazz saxophone, composition and arranging, electronic music, audio technology and mathematics. After completing his studies, Mark joined a boutique financial services firm where he learned the fundamentals of markets and investing before joining the New York Life Insurance Company in their asset management division. Over the course of eleven years at NYL, he held positions in areas from retirement plans to marketing, research and strategic planning before establishing the Investment Consulting Group to serve the needs of the division’s investment committee. It was as a product of his work for the Group as well as prior work on the launches of several MainStay mutual funds that Mark began to investigate and appreciate the possibilities at the intersection of the capital markets and considerations of social and environmental factors. In 2005, Mark was asked to join UBS Wealth Management Americas to lead institutional manager research, which began another eleven year journey concluding with the founding of Regenerative Investment Strategies. During his time at UBS, Mark had responsibility for leading research into best-in-class investment managers across asset classes and markets that served the firm’s individual, family, and institutional clients. He built a robust research and investment process for a nascent centrally-managed multi-manager discretionary portfolio program which, at the time of his departure, had grown to better than $11 billion under direct management. His research and investment acumen was tapped to serve a variety of committees around the firm, including the company’s 401(k) investment committee. Sustainable and responsible investing was a constant focus throughout his time at UBS. He championed an approach that empowered clients to express their social, ethical and environmental views through their investments, and to do so while fully participating in market risk and return. Mark served as one of UBS’ representatives to a variety of industry and multilateral convenings focusing on sustainable capitalism including the United Nations Environment Programme Finance Initiative North American Task Force. Within the bank Mark also served on the UBS Global Sustainability Council, and established UBS’ first fully sustainable globally asset allocated multi-manager portfolio for individuals, families, philanthropies and institutions. Mark also worked extensively with Philanthropic Services on mission-aligned investing for families, foundations and endowments, integrating the principles and practicalities of environmental, social, governance and impact investment. Writing and speaking have been constant fixtures in Mark’s efforts around sustainable investing. He has appeared as a lecturer and panelist at a variety of industry and academic conferences, including the Columbia Social Enterprise Conference, FSG’s Creating Shared Value Leadership Summit, and the Agrion Energy & Sustainability Conference. He has written extensively on sustainability and impact investing including for CityWire USA and the Journal of Sustainable Finance & Banking. Mark continues his commitment to the performing arts, having founded and performed in a variety of ensembles, and teaching clarinet and saxophone performance. In 2001 he established Northbranch Records, a record label committed to socializing emerging artists and lesser known classical music, and subsequently launched Professional Wind Instrument Consultants, serving the needs of professional musicians and conservatory students. Most recently, with his wife Christina, Mark co-founded becoME, a charity focused on fostering physical and emotional strength for survivors of domestic violence. 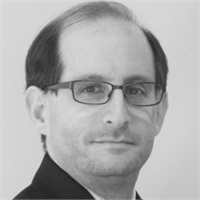 Mark Sloss is a graduate of Northwestern University and holds FINRA Series 7, 63, 66 and 24 licenses.